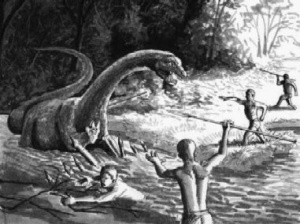 Although dinosaurs are seen and reported all over the world, the hotspots seem to be localized in central Africa, near the coastline of a region in Papua New Guinea, and within the bleak territory of northwestern China. The species in New Zealand are alive and well. 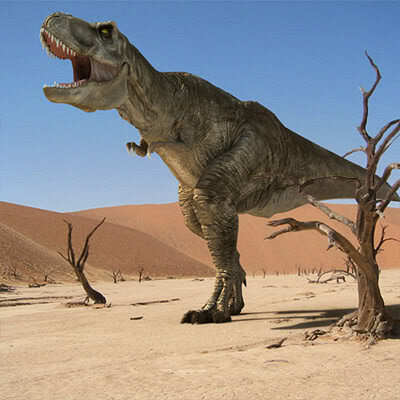 Their existence tends to prove that some dinosaur families may have survived to present day. Four cases from the past several years are explored. And the final article investigates the possibility that intelligent dinosaurs may walk among us today! Sensational eyewitness reports—collected by determined exploration teams seeking evidence of the creatures—have led serious researchers to the conclusion that two distinct animals fo exist. The detailed descriptions of both monsters match that of the incredible pterosaurs: ferocious flying dinosaurs thought to be extinct for nearly 65 million years!